Thank you very much for checking Lei Hawaii Realty Inc. (The Company) vacation rentals website!! Please read and understand all the rules below before you make a reservation. You may choose not to make a reservation after reading all these rules. We consider all guests understand and follow these conditions once you make a reservation to us. Vacation rentals is not a tour, so you must come to our vacation rentals by yourself, check in and sometimes register you to the condo. There is no daily room cleaning like the hotel. Please clean the room by yourself. There are the fixed number of amenity in each room when you check in. We will not provide the extra amenities (like toilet papers, shampoos and so on). In addition to the accommodation fee, the deposit, cleaning, credit card fee and insurance (if you needed) fees will be charged. When making a reservation, please be sure to check the total amount and terms and conditions, and cancellation policy. Please observe the rules in the condo and community. Vacation rentals is stay in the room and house in the community. You may stay cheap, live like your home, so do everything by yourself. We cannot provide our service those following person. Those who do not provide the contact information such as a telephone number, e-mail address, etc. Those who do not receive e-mails and phone calls sent from our company and affiliated companies. If we found that the following ①②③④ during the reservation process or stay, the Company shall be able to suspend all services without any prior notice and have the right to cancel the reservation. In addition, we can take necessary legal measures. 1.Those who have the false statements in the application and information for the reservation. 2.Those who have the relationship with the organized crime group or gangsters. 3.Those who have involved in the illegal act during the reservation period and stya. 4.Those who are judged by us as the inappropriate. This Agreement will confirm your rental. 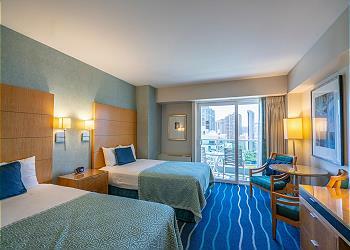 Each room’s instructions like Wi-Fi ID and key code will be sent after you make a reservation. It depends on the units and we do not attend when you check in. You need to register as the guest in some condo by yourself when you check in. Lei Hawaii Realty Inc., the Agent of the Owners, and Tenant agree as follows: Above Tenant is at least twenty-first (21) years of age (an "adult") and will be an occupant of the unit during the entire reserved dates. In addition to Tenant, other authorized occupants may be family members or friends of Tenant. Use of the premises will be denied to persons not falling within the foregoing categories. Should any unauthorized persons occupy or use the Premises, Tenant shall vacate the premises immediately without any refund. No key will be issued to anyone who is not an adult. Reservations may be placed up to one (1) years in advance, but are subject to the rates in effect for the year said reservations are placed. 1st Payment will be when you make a reservation with us. Total travel cost of 50%. You may chose if you pay the deposit or the damage protection insurance fee. The 2nd Payment will be charged to your credit card you provided 60 days before check in date. No barbeque grills of any kind are permitted on balconies or in the unit. No open flames (ie. Candle burning) is permitted on balconies or in the unit. Do not dismantle smoke detectors as they are there for your protection. Use the overhead stove fan when cooking to avoid accidental, activation of smoke detector alarm. Reservations made for teenagers or young single groups will not be honored without any accompanying adult staying in the unit at ALL times. We require all members of the party to be 21 years of age unless they are a child of a registered guest! Any violators will be evicted according to Hawaii Statute. Any reservation obtained under false pretense will be subject to forfeiture of reservation deposit, damage deposit, and/or balance of rental payment. We reserve the right to make random inspections of the Rental Unit. If the responsible Adult (Over Age 21) is not present and cannot be produced within 1 Hour of said random inspection, all occupants will be asked to vacate immediately with no refund of rent or damage deposit. There is no daily maid service. Linens and towels are included and not to be taken from the unit. An initial setup of bathroom paper, soap is provided. There is a onetime cleaning fee. Additional cleaning fees will be due in the event that cleaning involves the removal of excessive sand or other conditions the Tenant caused. No compensation will be given for temporary outage of electricity, gas, water, cable, or telephone service. Outages should be reported immediately and all efforts will be made to have them restored as soon as possible. Please note that you may want to bring a calling card for placing long distance phone calls, as these are restricted. You will obtain your check in information once balance is paid in full. Smoking is strictly prohibited. Your damage deposit will be forfeited and you will incur an additional charge for carpet cleaning and deodorizing if any evidence of smoking is found. Owner or owner's agents may enter the premises under the following circumstances: in case of an emergency; Random Inspections; to make any necessary or agreed upon repairs, alterations, or improvements; supply necessary or agreed upon services or show the premises to prospective purchasers, renters or contractors. Owner will provide renter with at least 24 hours notice of Owners intent to enter (except in the case of an emergency or Random Inspections). All dishes are to be washed and all garbage removed from the premises and placed in outside receptacles. Please place trash bins in front of house for pickup. There will be a $25.00 fee for trash left in the unit. No pets are allowed. If evidence of a pet(s) is found in the unit or on the premises you will be required to vacate immediately with no refund of rent or damage deposit. Leave the Keys as we instruct. Try to keep the unit as you check in. Turn off all the electricity. Tenant must vacate the property by the agreed upon checkout time, if the failure of a tenant checking out on time interferes with our cleaning service an additional $200.00 fee will be charged to the card on file. Tenant and all other occupants will be required to vacate the premises and forfeit the rental fee and security deposit for any of the following: Occupancy exceeding the sleeping capacity of maximum numbered allowed, using the premises for any illegal activity, causing damage to the premises rented or to any of the neighboring properties and any other acts which interferes with neighbors' right to quiet enjoyment of their premises. Lei Hawaii Realty Inc. nor the owner, assumes any liability for loss, damage or injury to persons or their personal property. Neither does owner accept any liability for any inconveniences, damage, loss or injury arising from any temporary defects or stoppage in supply of water, gas, cable service, electricity or plumbing, as well as due to weather conditions, natural disasters, acts of God, or other reasons beyond its control. Tenant hereby acknowledges that the premises they have reserved includes a community pool and the undersigned agrees and acknowledges that the community pool and patio/deck can be dangerous areas, that the deck/patio can be slippery when wet, and that injury may occur to anyone who is not careful. With full knowledge of the above facts and warnings, the undersigned Tenant accepts and assumes all risks involved to Tenant and all of Tenant's guests in or related to the use of the community pool and patio areas. Please report any maintenance needs for the premises to the us and we will respond as quickly as possible. Refunds will not be made for maintenance issues including, but not limited to heating and air conditioning, appliances, televisions, and stereos. The owners furnish linens and towels. Any lost or damaged linens will be deducted from your deposit. An initial toilet paper and shampoo and soap are provided. Only a few are provided because this is not a hotel. Please understand we provide the unit with very low price. Extra items needed are the responsibility of the Tenant. Limited cleaning supplies may be provided. We recommend that you bring any special items like detergent that you may need. We will not put any food product due to the health concern. Please check the listing for the parking information. If the listing has the parking, you should use the space with your responsibility. No boats, jet skis, trailers or RVs. 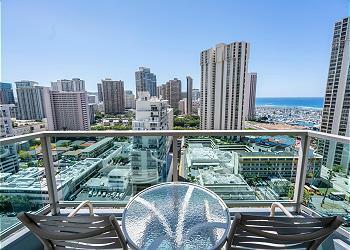 Lei Hawaii vacation rentals offers cheap rooms through this website. We do not have facilities and amenities like hotels and provide the hotel services, so please understand in advance. Check in and out time is written in each property page and also the amenities provided in the unit is written. All rate listed in the homepage might be changed without any notice. Check-in and check-out time cannot change at any reasons. If you check out late, it is subject to the additional late fee as well as the penalty. When checking in, it is responsible for the guests to register in the hotel or condo. Staff will not be present at check-in / check-out. When guests damage the unit, we will charge the fee from the security deposit or the guest’s credit card. PETS: No pets allowed in or on the property. If you will bring any service animals, you need to let us know in advance since there are guests and owners who have the allergic problems. Guests have to submit the certification for the service animal. If you do not mention about the service animals , your reservation will be canceled. And if we find out the fact after, you will need to pay for the additional cleaning fee $500 as well as other compensation fees. LOST KEY: $200 will be deducted from your security deposit for each lost key. Please contact us when you lost the key. If we have to change all the keys because of it, we may charge more than $200. If you do not check out on time or check in early, we will charge $200 a hour as the penalty. If you leave your baggage after the check out time, we will charge the guest the whole day rate. And we will keep them for 3 days and discard after. We do not keep anything we think as valuable. SMOKING: No smoking. No drugs.When you smoke in the unit, we will confiscate the security deposit and chrge you $500 penalty fee as well. Also please follow the house rule for each condo. Please take off your shoes in the unit. No smoking, no pets, no parties please. If we find any of these, we fine $500 + confiscate the deposit. Also we may charge you fees for the damage. Lei Hawaii Realty Inc. will send you email how to check in when you make a reservation. Please be sure to save the mail for the check-in and check-out procedure and etc. If you do not receive the email within 3 days after you make a reservation, please contact us via email or phone. We do not provide the room service like the hotel. The daily room cleaning, linen and towel changes and the maid service are not available in our vacation rentals. Our amenity is minimum, so please check what we provide before you make a reservation. We offer the high quality rooms with the very cheap rate, so please understand that. We try our best within the limited budget. Security stuff in the hotel or condo, the service person, and Lei Hawaii Realty Inc. employees might come inside the unit without any notice to take care of the emergency matters. For non emergency matters, we will notify you before we enter the units. Even in condominiums and hotel with the front desk, you cannot mail or deliver any mails and packages to the front desk or to the mailbox. And guests cannot use the front desk service like keeping the room keys and baggages or any services. Please obey the house rule of the condominium and hotel. Common area such as the balcony of the room and the pool may not be used without any prior notice due to the hotel and condominium renovation and repair work. In that case we will not refund any. We will charge you $20 per 30 minutes for the non-emergency matters requested by the guests. Entering the rooms and facilities other than the registered guests are prohibited. Prices posted on this website are subject to change without any prior notice. Conditions of our vacation rentals are as is. It does not function due to beyond our control. And we do not provide all amenities inside the units. Guests are required to purchase other than provided amenities by yourself. We are not responsible for any supplies and amenities shortage. Towels, blankets, papers and sheets are provided in the room for the basic number depending of the number of certain guests. If guests damage them or amenities, we will charge you the fees. ・Beach towels are not included in the towel set. Provided towels are forbidden to use on beach or pool. And please get rid of all sands and dust before you entering the unit. Also please take off your shoes inside the unit. We will provide a pair of slippers for the room. When you moving indoor furniture such as a bed, a table, a sofa, etc., please return to the original position at the time of checkout. If you do not return them to its original position, we will charge a work fee of 50 dollars (tax included) per piece of furniture. Also, we will charge the repair cost separately when you damage to the walls, floor, furniture, amenities and etc. Please be careful for the overflow of the water from the bathtub and sinks. Upon your checkout, please clean and dry your dishes and take your trash out to the trash room. When you use a lot of toilet papers at one time, it is easy to clog, so please use the least amount at a time. And please flow them in several times. We will charge you a $500 fine for any of the violation as well as the actual cost to recover. You cannot hang the laundry in balcony (lanai). We are not responsible for any fine from the condominium. The smoking in balcony is also prohibited. You are responsible for paying the fine from the condo. If you do not pay for it, we will charge the fee to your credit card. If there is an advanced notice from the vendors, security, owner or us, the guests have to allow to come inside the unit. Even for the showing to other person, the guests cannot deny the request. For the emergency matters, we enter inside unit without any notice. Guests cannot claim any for this. You can not cancel the reservation and stay due to any insects inside or outside the room. We will not refundany for this reason. If you commit a violation or illegal activities, we will. charge a fine of $ 1,000. Also you may require to check out immediately. In that case, there is no refund for the accommodation. Surf racks and bicycle racks in condominiums can not be used without the permission. Depending on the size of the surfboard, it may be restricted to bring into the condominium common area, parking, elevator and unit. We recommend that you use the storage service outside the building. Guest cannot access to the mailing box. And also guests cannot use the front desk service for the mail or keys or luggage. The address of the accommodation can not be used as the address. Also, we strongly prohibit the business use of the property. If we find out the business use, guests have to pay the fine and check out the unit immediately. For other people's use we will receive $ 500 as a penalty fee from the registered credit card. We will charge a certain fees to your credit card if you do not pay after the check out. We are not responsible for the following damage. And we will not compensate any for these following reasons. When you encounter the sickness, injury, theft or loss, our company will support you. However, we will not take any responsibility for losing the valuables, damages, sickness and so on. For the parking, please ask the parking stuff before you stay. We are not responsible for the availability and the fees. We are not responsible for the damages, loss and injuries for any of your transportation. The condominium sometimes do the construction in the common area like in the entrance, hallway, pool, BBQ area and so on with the notice or without any notice. The guests cannot claim any refund or replacement for the unit because of that. Also unexpected emergency repair and inspection might happen during the guests’ stay. The guests have to cooperate that without any claims. We do not compensate any for that. Lei Hawaii Realty and the owner are not responsible for any accidents and incidents happened in the unit or in the building. Please do not throw anything from the window. It is your responsibility if you cause any damages to others in and outside the building. We are not responsible if guests can not enter the U.S. Or we are not responsible for the filigh and any transportation delay. We can not take any responsibility for any itinerary change, including the itinerary change caused by reasons of force majeure such as natural disasters, strikes and riots. RESPONSIBILITY DISCLAIMER: Property owners and Lei Hawaii Realty Inc. are not responsible for any accidents, injuries or illness that occurs while on the premises or its facilities. The guest is responsible for safe-keeping of personal belongings or valuables. Damage, breakages, theft and loss are the tenants responsibility during their stay. By accepting this reservation, it is agreed that all guests are expressly assuming the risk of any harm arising from their use of the premises. Please be sure to have the travel and health insurance. Lei Hawaii Realty Inc. provide CSA travel insurance. To use CSA, please read the following and understand before you purchase it. Plan is explained in this page.The detail for the plan should be consulted with CSA directly. As a part of your stay, you may purchase a Vacation Rental Damage Protection plan designed to cover unintentional damages to the rental unit interior that occur during your stay provided they are disclosed to management prior to check-out. If purchased, the policy will pay a maximum benefit of 3,000. Any damages that exceed $3,000 or are not covered under the plan will be charged to the credit card on file. If, during your stay at one of our rental properties, an insured person causes any damage to real or personal property of the unit as a result of inadvertent acts or omissions, the Insurer will reimburse the Insured for the cost of repair or replacement of such property up to a maximum benefit of $3,000. Certain terms and conditions apply. Full details of the Vacation Rental Damage coverage are contained in the Description of Coverage or Insurance Policy. The Vacation Rental Damage can be purchased up to, and including at, check-in. By submitting payment for this plan, you authorize and request CSA Travel Protection and Insurance Services to pay directly Lei Hawaii Realty Inc. any amount payable under the terms and conditions of the Vacation Rental Damage. Please contact Lei Hawaii Realty Inc. directly if you do not wish to participate in this assignment. We will use the deposit for the damages in the unit. If we cannot cover the damages within the deposit we have, we will charge the fees or penalty to the credit card the guests used when they made a reservation. We will refund the deposit if there is no damage in the units within 21 days after check out.